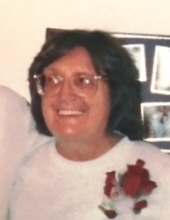 WINSTED – Mary Ann (Fedor) Simmons, 77, passed away peacefully on Saturday, April 6, 2019 surrounded by her loving family. She was the devoted wife of Richard Simmons for 38 years. Born October 11, 1941 in Torrington; the daughter of the late David and Julia Woodwell. Mary was a lifelong resident of Winsted and member of the Second Congregational Church of Winsted. She loved the ocean enjoying many trips to Rhode Island, Cape Cod and in her youth, Atlantic City. She also loved collecting angels and her cat, Midge. She cherished spending time with her beloved children and grandchildren and would travel to other states to visit and celebrate special occasions with them. In addition to her husband, she leaves her children, George Oliveri, Jr., and wife Dawn of ME, Peter Oliveri and wife Judi of WY, Rosalie Saez and husband Adalberto of Torrington and Gino Oliveri and wife Vickie of MS; sister-in-law, Diane (Simmons) Couch and husband Doug of Torrington; 8 grandchildren; 1 great grandchild; and several nieces and nephews. She was predeceased by her close sister, Catherine Fedor and close foster brother, Joseph Woodwell, whom she loved very much. Friends may call on Wednesday, April 10, 2019 at Montano-Shea Funeral Home, 922 Main Street, Winsted from 5 – 7 PM with a funeral service at 7 PM. In lieu of flowers, memorial donations may be made to: The American Heart Association. Visit an online guestbook at montano-shea.com. To plant a tree in memory of Mary Ann Simmons, please visit our Tribute Store. "Email Address" would like to share the life celebration of Mary Ann Simmons. Click on the "link" to go to share a favorite memory or leave a condolence message for the family.